Home » Hotels » Yikes – Hyatt rumored to suddenly slash value of Cash + Points November 1st. 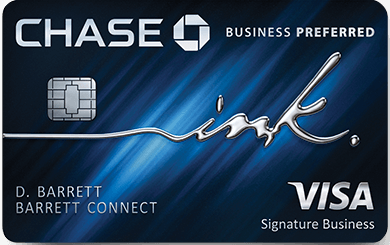 Yikes – Hyatt rumored to suddenly slash value of Cash + Points November 1st. Earlier today, Richard Kerr – he does a great job over at TPG – broke the news that Hyatt was planning to devalue their incredible Points + Cash. According to a trusted source – the new program will take the current Points + Cash rates and alter the “cash ” portion from a fixed amount to fluctuate based on room rate – it’ll equal 50% of the standard published rate. Seriously? Less than 2 weeks notice, in the midst of re-qualification? If this was taking effect next year sometime – so be it. The cash + points aspect of WOH is incredible and highly favors the consumer over operators. But, Hyatt has had a tough time compelling top tier members to stay, and has faced a lot pushback from loyalists in the transition from Gold Passport to WOH. And they gut mid-year? Last year they had to run a promo whereby any Hyatt credit card holder could get top tier with just 20 nights in the final quarter of 2017. This seems like another card dealt from that deck. Kerr also revealed that “specialty suites” would be folded into the upgrade program, allowing members to redeem 9k points per night to book them. Currently, if space is available, members can redeem 6k points per night for standard suites ( globalists also receive 4 suite upgrade certificates – good up to 7 nights ). This could be something of interest for families – booking a Governor suites able to accommodate a family of 4 at the cash rate plus 9k points could serve useful and offset the points + cash deval. The new chart would keep the points aspect the same ( 50% of the standard cost in points ) but change the cash portion to equal 50% of the Standard Rate. I’ve stayed at this hotel before utilizing cash and points. Typically this would cost you 7500 + $100 a night. Looking at a random weekend in December… It would actually save money…$65 vs $100. Although I’d never use points to pay for a room so cheap. But jump to June…and you’re paying $72 more per night. This is one of the most aspirational hotels in Hyatt’s program. Rates are nosebleed year round. Currently, you could reserve a room here for 15k + $300 a night. That seems high, but look at a random day in December. That’s an entry level room starting at $1345 a night. My goodness. Under the new program – such a room would set you back 15k + $673 a night. I’ll pass, thank you very much. Hyatt has been making great progress in tailoring their program with recent acquisitions and partnerships, and they introduced an incredible new credit card – so why would they gut one of the best parts of their program so close to the end of the qualification? If the timing of this rumor is true, November 1st, I think Hyatt will find itself barking up the same tree with loyalists. Hello Marriott. Hello IHG. Hello Hilton. Bad post. You’re not considering that when hotels are $1300 , points and cash won’t be available. Now , to not mislead readers. Can you post the points availability for the Park Hyatt New York on the day in December which was $1300 per night. Bloggers sometimes like the over dramatize everything and Mislead. This is a perfect example. Agreed. But the post makes Cash and points far more valuable than they are. You make people perceive 15,000 points can save you $1000, but that’s not the case since those awards are capacity controlled and not available on the night you have the example for.